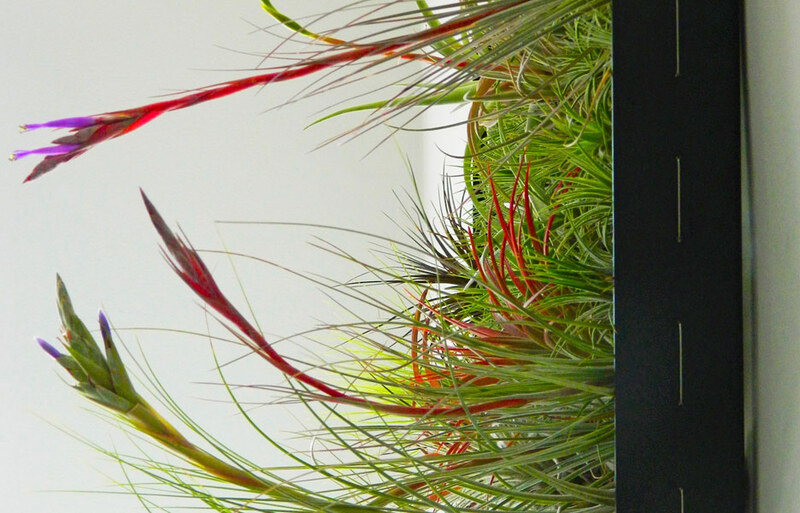 Providing the urban gardener with a unique, manageable solution to vertical gardening, Airplantman’s purpose-built frames for housing tillandsias (air plants) are free of soil and free of mess. Air plants use the surrounding air and water to gain nutrients and can survive in a wide range of climates, from cold, sun-starved areas through to warmer climates, are robust, and come in an array of colours and shapes. For indoor plants, once-a-week watering is achieved by submerging the air plants in water while they stay housed in their waterproof frame. The frames come in a variety of colours and sizes, and add a refreshing twist to a contemporary space. The frames are 100 percent recycleable, and are designed and made in California out of powder coated aluminium frame and stainless steel cables, making it ideal for both indoor and outdoor use. Airplantman’s frames are available in Australian through ModPlanters.